Sunny, golden pink powder blush for a splash of California color. Dust onto the apples of your cheeks. For a deeper pop of pink, repeat. Artwork is inspired by vintage California surfer girls. 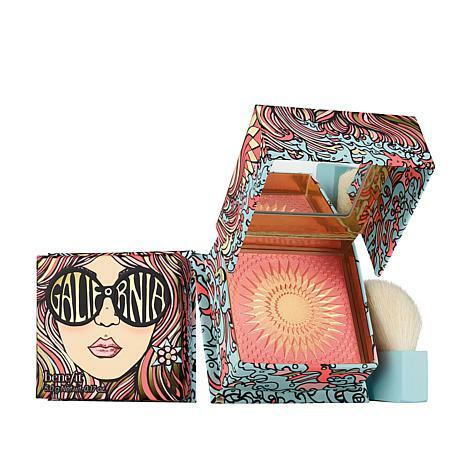 I love this brand as it is affordable and the product is good! Rich pigment that lasts and highlights your skin tone. Packaging is always so cute, so they make great gifts. Love this cheek color, so will you! I love love this blush! Beautiful color and lasts all day. Just the right amount of shimmer. 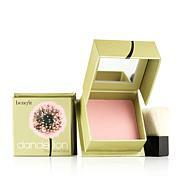 This is a great blush for use in the approaching summer months. Love the look. Perfect amount of color to look like you've been in the sun. The brush is perfect. Fun packaging. Reasonably priced. I have been a Benebabe for over 20 years! I collect and use the Box of Powders all the time. Galifornia is my new favorite. I am fair with blonde hair and blue eyes. It gives my skin a healthy glow and just the right amount of color. I love all the products that I have tried. Everything is great! Thank you Annie and Maggie for a new addition to my collection!P.S. Thank you for Hoola Light!!! !